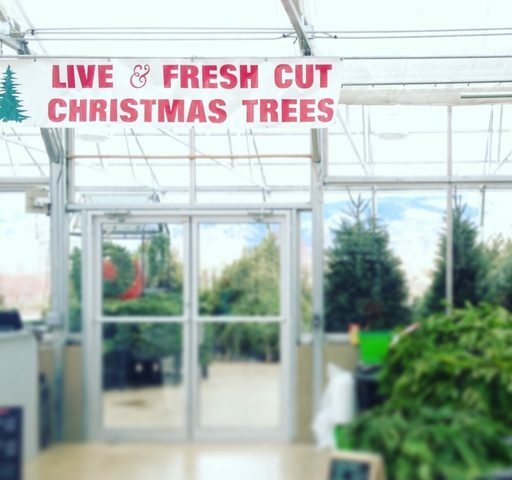 25% off Holiday Décor One Day Only! Pretty and fragrant blooms indoors are a special treat during the darkest months of the year. Both amaryllis and paperwhite bulbs are attractive and easy to grow. These bulbs are acclimated to warmer climates and do not need a period of cold in order to bloom. Room temperature is perfect. These are the easiest indoor bulbs to grow and the fastest to bloom. From planting to flowering, they take about 4 to 6 weeks. To begin, choose a container that’s at least 6 inches tall. Paperwhites can grow quite tall and a deeper container will provide a more stable base for the blooming bulbs. Containers don’t have to have holes so you can be creative. Mason Jars, vases, decorative boxes, baskets, cookie tins and traditional pottery pieces will work. Fill the container about two thirds of the way with either gravel or potting soil. Place bulbs pointy side up and cover with more gravel/ potting soil until just the tips are showing. Leave about one inch of space between the soil (or gravel) surface and the rim of your container for easier watering. Water the bulbs. If you are using potting soil, you may need to more after watering where the soil may have settled. At this point, a layer of decorative moss or rock over top will give it a nice, finished look. Place in a bright, cool spot indoors and wait. Low light or excessive heat from fireplaces or vents will make your paperwhites spindly and floppy. Water periodically to keep the base of the bulb wet. As the foliage starts to emerge, rotate the planter every few days to keep the stems straight. Blooms will last longer in cooler room temperatures away from direct sunlight. 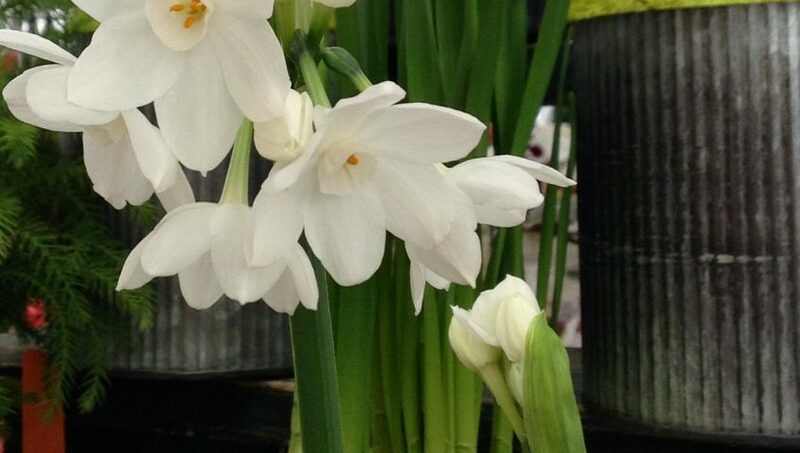 Plant paperwhites mid-November for Christmas blooms. Amaryllis are known for their huge, spectacular blooms. Blooms appear in about 6- 8 weeks. Planting is similar to paperwhites. Choose a sturdy container that is about an inch in diameter bigger than the amaryllis bulb. A heavier ceramic pot is best to support the heafty flower stalk. Fill about two thirds of the way with potting soil, then set in the bulb, pointy side up. Top off with potting soil so the top quarter of the bulb is exposed. Ideally, the soil level should be about one inch below the rim of the pot to allow for proper watering. Cover the soil with decorative moss or rock if desired. Keep the potting soil moist, but not sodden and place in a cool, bright spot. As the stalk and leaves grow, rotate the pot to encourage a straighter stalk. 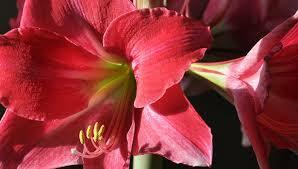 Start amaryllis at the beginning of November for Christmas color. Both paperwhites and amaryllis make beautiful holiday gifts. Start them indoors this month for blooming gifts in December!